The Hyla vacuum cleaner is a powerful cleaning system that utilizes water filtration to keep dust out of the air. It can also be especially good for cleaning up pet hair. If you have never heard of a Hyla Vac, you are not alone, because many people haven’t heard the name before. This little-known cleaning system is named after the small green frog that is found in the forests of Europe, but how does that apply to cleaning your home and the air it contains? Well, since frogs can sometimes be used as an indicator of the air and water quality in the environment it seemed like the perfect name for a “green cleaning” system. But what are the pros and cons of this Hyla cleaning system, which can cost quite a bit more than most standard cleaning systems? In the Hyla vacuum cleaner review below we’ll see if the Hyla offers enough advantage over other home cleaning options to justify its price. 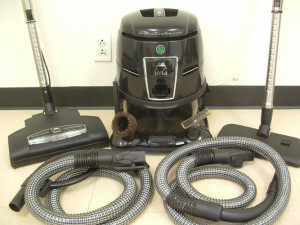 The Hyla Vacuum Cleaner is a cleaning system which uses separator technology to clean the air while cleaning your home. 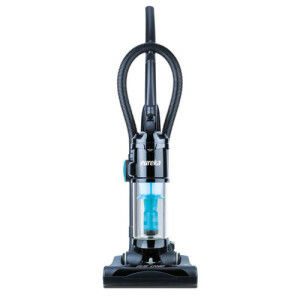 It is designed for numerous applications, such as air cleaning, vacuuming, disinfection, deep cleaning of carpets and upholstery, and wet cleaning. 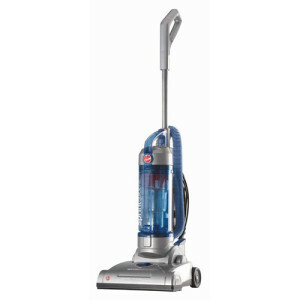 It removes fine dust, allergens, gases and mites while making the air in the room cleaner and more fragrant. But the Hyla system has seen quite a bit of evolution since its first prototype in 1990. 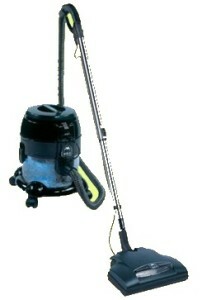 The Slovenian company’s goal in 1991 was to become a worldwide name, so in 1994 they became a Czech-based company offering the Hyla Vacuum Cleaner as a unique cleaning product. As the technology and design continued to evolve through testing, the HYLA NST was made available in 2001, including an Electro Flexible Hose. 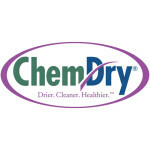 By 2002, wet cleaning technology was introduced, designed for hard floor surfaces, carpets, upholstery and car seats. It featured spraying functionality, but the Electro Brush was an innovation in 2003 that was perfect for dry dust pick-up. By the time the second generation models were introduced in 2005 to 2006, the self-cleaning separator was perfected, offering a 15% more effective air-cleaning capability. 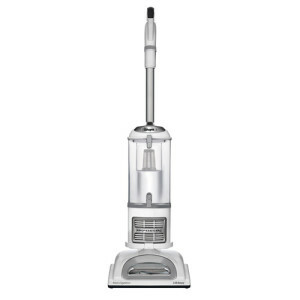 Today, the Hyla Vacuum Cleaner is a total home environment cleaning system that is in competition with the Rainbow or Kirby home cleaning systems that many Americans are familiar with. The self-cleaning rotating separator in the Vacuum Cleaner is the most important part of the system, making it easy to clean up after you are done using the machine. When it comes to cleaning capability, the excellent results are shown in the clear water collection bin. There are many satisfied users that love the way the Hyla Vacuum shampoos carpet and upholstery, but they also love the way their air smells, as the purifier cleans the dust mites, pet hair and other odor-causing bacteria from the air. You will find few complaints about the cleaning ability of the system and it far surpasses many models, with no bags necessary, saving some expense. 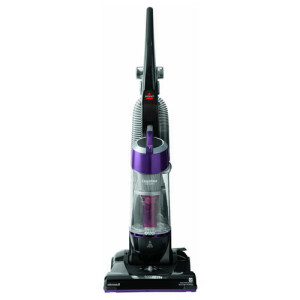 Other benefits are that the Hyla Vacuum Cleaner is easy to maneuver and features lots of attachments. In addition, you can purify the air by just letting it run, to clean the air. 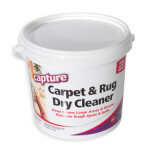 Since it allows you to vacuum and clean carpeted and hard floor surfaces, it is easily adaptable for all of your floor surfaces, making cleaning easier. The biggest disadvantage of the Hyla Vacuum Cleaner has been the price, which has ranged between $2300 to $2700 for this system. But that is with a large amount of markup by the sales reps, and today Hyla Vacuum Cleaner systems are available from marketplaces such as Amazon for under $1000 . In addition, with regards to the sales rep days there are some people that have complained about the sales tactics used, which tend to exaggerate the scope of how bad the general household air quality is. There are some people that believe you could use more effective air filtering systems that cost a lot less. While the cleaning results are unquestionable, you might be able to achieve them for less, depending on your particular needs. Sales distribution tends to resemble the same type of distribution network used by Kirby or Rainbow, but you can sometimes get the Rainbow home cleaning system for less. Because they used individual sales people that are trained to magnify the dirtiness of your home air quality and the allergens it contains, it is similar to the other cleaning systems in that the sales people can determine your satisfaction level and the sales pitch you receive about the Hyla. The Hyla Vacuum Cleaner is more than a normal carpet cleaning system because it is capable of vacuuming and shampooing your carpet, besides purifying your household air. 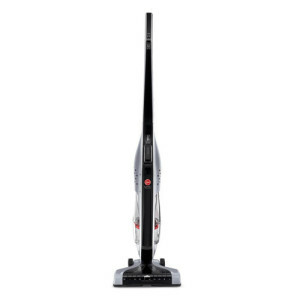 From this standpoint, the Hyla Vacuum is a multi-purpose cleaning machine that serves the purpose of several pieces of cleaning equipment, including the ability to function as an upholstery cleaner and air purifier. For those that don’t mind spending near and sometimes more than $1000 for a home cleaning system, it can offer many years of effective cleaning. Those on a budget might want to consider other systems, but for a premium home cleaning system, the Hyla vacuum cleaner offers results that are not commonly found with normal vacuums or shampooers. Where Can You Find A Hyla Vacuum Cleaner? We hope you have enjoyed this brief Hyla vacuum cleaner review. If you are looking to buy a Hyla vacuum cleaner you can often skip the dealership and sales reps now and buy from an online marketplace such as here on Amazon for much cheaper.